All of the defending pokemon's attacks done to this pokemon are reduced by 30 damage. 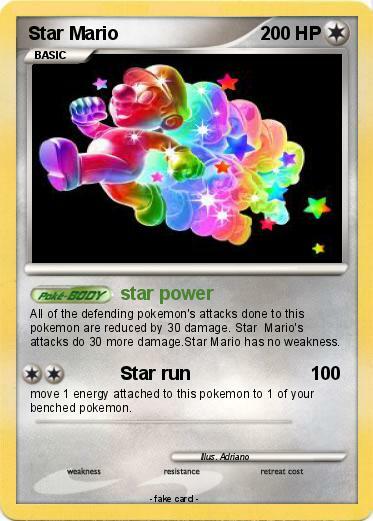 Star Mario's attacks do 30 more damage.Star Mario has no weakness. move 1 energy attached to this pokemon to 1 of your benched pokemon.